You'll be £19.99 closer to your next £10.00 credit when you purchase Family Matters. What's this? Family history is one of Britain's most popular pastimes. Around six million people in Britain are researching their family trees, and genealogy is one of the top categories for online searches. The opening up of public records, the growth of family history societies and the introduction of computers and the internet have made the subject accessible to everyone. As a popular history of the subject, rather than yet another 'how to' guide, Family Matters puts the study of family history itself into a historical and social context. The book traces the rise of genealogy from an esoteric interest of gentlemen and scholars to a mainstream hobby enjoyed by millions. It describes in vivid detail the landmark events and the personalities behind them, telling the story of the evolution of family history through the eyes of those involved. It also looks forward to some of the challenges facing family history in the future, as a result of factors such as commercialisation, legislation and new technologies. This original and highly readable work offers a fresh perspective on an activity that is not just a fast-growing leisure pursuit but also a rapidly expanding business sector and an important field for public policy. the development of their favourite pastime. It will also appeal to social historians and to everyone who is interested in the role of public information and archives in popular culture. If you want to learn how our, now popular, recreational activity has evolved over the years or wish to explore the role of public information and archives in the current economic and cultural climate, then you'll find this 278 page illustrated hardback an interesting read. The author recounts the growth of genealogy and presents the subject in both its historic and social context. He describes the development of ‘family history’ from being something of an academic interest amongst the gentry and scholars into a world-wide hobby for millions of people and, for some, an obsession. The many people and organisations at the forefront of particular stages in the growth of the subject are accorded suitable credits; it would be unfair to pick out just a few examples but if you have heard of them they are almost certainly in here. Also included are a detailed index, a bibliography and many notes and references relating to the text. This interesting book opens by considering why researchers investigate their past. Sharpe shows that prior to family history becoming a mainstream hobby, it was often pursued for reasons of religion, or to prove an entitlement to a title or inheritance. He also looks at many different records, and describes how and why they came into existence. Important teaching points emerge here, as an understanding of the background to a set of records helps the family historian to understand their strengths and weaknesses. He covers the establishment of record repositories that we now take for granted, such as the former Public Record Office and subsequently county record offices. In fact, when the author describes the storage of public records prior to the 1840s, one is left with the feeling that it must be a miracle that any records from before that time still survive! Other chapters look at the 20th century, with the main personalities and events documented as genealogy moves from being an esoteric interest of gentlemen and scholars to a popular pastime. This guide includes a useful index and bibliography with suggestions of further reading, if you find the topic intriguing. 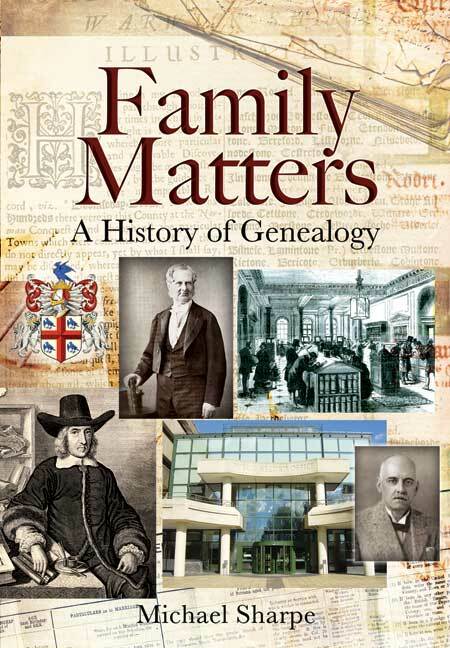 Overall, Family Matters provides a captivating read to inspire genealogists whatever their level – not to be missed. Getting away from this 'how to' format, this refreshing title from Michael Sharpe instead puts the study of family history in the spotlight. He traces its growth from its scholarly and gentlemanly roots to the mainstream hobby it is today and beyond, exploring what the future may hold. Placed in a social and a historical context, this is a timely publication, with the rapid development of the 'ancestry business' alongside the internet, changing legislation regarding public data and new technologies. By holding a mirror up to the 'industry', the author takes us back to the origins of family history, celebrating en route pioneering giants of genealogy such as Percival Boyd and George Sherwood who, among other more recent campaigners, successfully fought for access to public information, without which the quest for ancestors wouldn't be what it is today. A reflective, intelligent and sometimes controversial 'inside story’ on the family history community with all its imperfections, quirks and beauty. This one looks an absolute cracker! It’s a hardback book at £19.99 providing an account of the history of what I and many others do for a living, and one that as a former documentary maker therefore really appeals to me. Never mind what is that genealogists do for a living, whether as a hobby in quiet times or as a merchandiser or vendor providing a service, just what was the sequence of events over the last few centuries that led us to the situation where we are at today? His original and highly readable work offers a fresh perspective on an activity that Is not just a fast-growing leisure pursuit but also a rapidly expanding business sector and an important field for public policy. 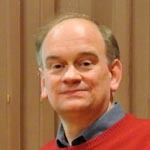 Michael Sharpe is an independent family history writer, researcher and lecturer who has been working in the field since 1984. He is a member of the Society of Genealogists and of several local family history societies. Family Matters is the result of years of research in national and regional archives and interviews with leading figures in British genealogy, including family history organisations, businesses and public bodies.